MoEML: Excerpts from Westward Ho! List documents mentioning Excerpts from Westward Ho! Let a man love Oisters for their water, for women though they shoulde weepe licour enough to serve a Dyer, or a Brewer, yet they may bee as stale as Wenches, that travaile every second tyde betweene Graves ende, and Billingsgate. I have known many suspected for men of this misfortune; when they have walkt thorow the streetes, weare their hats ore their eye-browes, like pollitick penthouses, which commonly make the shop of a Mercer, or a Linnen Draper, as dark as a roome in Bedlam. Yea sooth, I was offred forty yesterday upon the Exchange, to assure a hundred. Go into Bucklers-bury and fetch me two ounces of preserved Melounes, looke there be no Tobacco taken in the shoppe when he weighes it. Why as stale as a Country Ostes, an Exchange Sempster, or a Court Landresse. Thanks good maister Parenthesis: and Que novelles: what newes flutters abroad? doe Iack-dawes dung the top of Paules Steeple still. The more is the pitty, if any dawes do come into the temple, as I feare they do. They say Charing-crosse is falne downe, since I went to Rochell: but thats no such wonder, twas old, and stood awry (as most part of the world can tel.) And tho it lack under-propping, yet (like great fellowes at a wrastling) when their heeles are once flying uppe, no man will save em; downe they fall, and there let them lye, tho they were bigger then the Guard: Charing-crosse was olde, and olde thinges must shrinke aswell as new Northern cloth. Your worship is in the right way verily: they must so, but a number of better things between Westminster bridge and temple barre both of a worshipfull, and honorable erection, are falne to decay, and have suffred putrifaction, since Charing fell, that were not of halfe so long standing as the poore wry-neckt Monument. To the Custome-house: to the Change, to my Warehouse, to divers places. Marry because the Suburbes, and those without the bars, have more priviledge then they within the freedome: what need one woman doate upon one Man? Or one man be mad like Orlando for one woman. Troth tis true, considering how much flesh is in every Shambles. Why should I long to eate of Bakers bread onely, when theres so much Sifting, and bolting, and grynding in every corner of the Citty; men and women are borne, and come running into the world faster then Coaches doe into Cheap-side uppon Symon and Judes day: and are eaten up by Death faster, then Mutton and porridge in a terme time. He tooke up Silkes uppon his bond I confesse: nay more, hees a knight in print: but let his knight-hood be of what stamp it will, from him come I, to intreate you, and Mistris Wafer, and mistris Tenterhook, being both my schollers, and your honest pew fellowes, to meet him this afternoon at the Rhenesh-wine-house ith Stillyard. Captaine Whirlepoole will be there, young Lynstock the Alder-mans Son and Heire, there too, will you steale forth, & tast of a Dutch Bun, and a Keg of Sturgeon. What excuse shall I coyne now? Few excuses: You must to the pawne to buy Lawne: to Saint Martins for Lace; to the Garden: to the Glasse-house; to your Gossips:1 to the Powlters: else take out an old ruffe, and go to your Sempsters: excuses? Why, they are more ripe then medlers at Christmas. Two: the way-through Paules: every wench take a piller, there clap on your Maskes: your men will bee behind you, and before your prayers be halfe don, be before you, & man you out at severall doores. Welcome to the Stilliard faire Ladies. What say you to Black-wall, or Lime-house? Every roome there smels to much of Tar. Lets to mine host Dogbolts at Brainford then, there you are out of eyes, out of eares, private roomes, sweet Lynnen, winking attendance, and what cheere you will? Where will you meet ith morning? At some Taverne neare the water-side, thats private. The Grey-hound, the Greyhound in Black-fryers, an excellent Randevous. Content the Greyhound by eight? And then you may whip forth two first, and two next, on a sudden, and take Boate at Bridewell Dock most privately. At the Lyon in Shoredich? I would make them scud so fast from me, that they should think it a shorter way betweene this and Ludgate, then a condemned Cutpurse thinkes it between Newgate and Tyburne. I will have the haire of your head and beard shaved off for this, and eare I catch you at Grayes Inne by this light law. Run into Bucklers burry for two ounces of Draggon water, some Spermacaety and Treakle. wil you to Bucklers burry sir? O you are George the drawer at the Miter2. To me upon mine honestie, swore you would build me a lodging by the Thames side with a watergate to it: or els take mee a lodging in Cole-harbor. I warrant they walk upon Queen-hive (as Leander did for Hero) to watch for our landing, and should we wrong such kind hearts? saile with the rest of your baudie-traffikers to the place of sixe-penny Sinfulnesse the suburbes. Dekker, Thomas. Westward Ho. The Dramatic Works of Thomas Dekker. Vol. 2. Ed. Fredson Bowers. Cambridge: Cambridge UP, 1964. Dekker, Thomas, and John Webster. Excerpts from Westward Ho! The Map of Early Modern London, edited by Janelle Jenstad, U of Victoria, 20 Jun. 2018, mapoflondon.uvic.ca/WEST14.htm. Dekker, Thomas, and John Webster. Excerpts from Westward Ho! The Map of Early Modern London. Ed. Janelle Jenstad. Victoria: University of Victoria. Accessed June 20, 2018. http://mapoflondon.uvic.ca/WEST14.htm. Dekker, T., & Webster, J. 2018. Excerpts from Westward Ho! In J. Jenstad (Ed), The Map of Early Modern London. Victoria: University of Victoria. Retrieved from http://mapoflondon.uvic.ca/WEST14.htm. T1  - Excerpts from Westward Ho! T1 Excerpts from Westward Ho! Research assistant, 2014 to present. Catriona is an MA candidate at the University of Victoria. Her primary research interests include medieval and early modern Literature with a focus on book history, spatial humanities, and technology. Jim returned to academic studies after a professional lifetime in English teaching and education management. 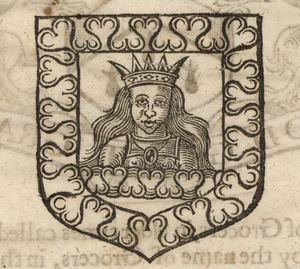 His MA dissertation at the University of Exeter, UK, completed in 2014, examined the relationships between six plays performed in the two London children’s theatre companies over an eighteen-month period, 1604 to early 1606, with a particular emphasis on Dekker and Webster’s exuberant Westward Hoe. MoEML’s library of primary source texts (not including Stow’s work). TEI-encoded, diplomatic transcriptions of early modern dramatic extracts rich in London toponyms. 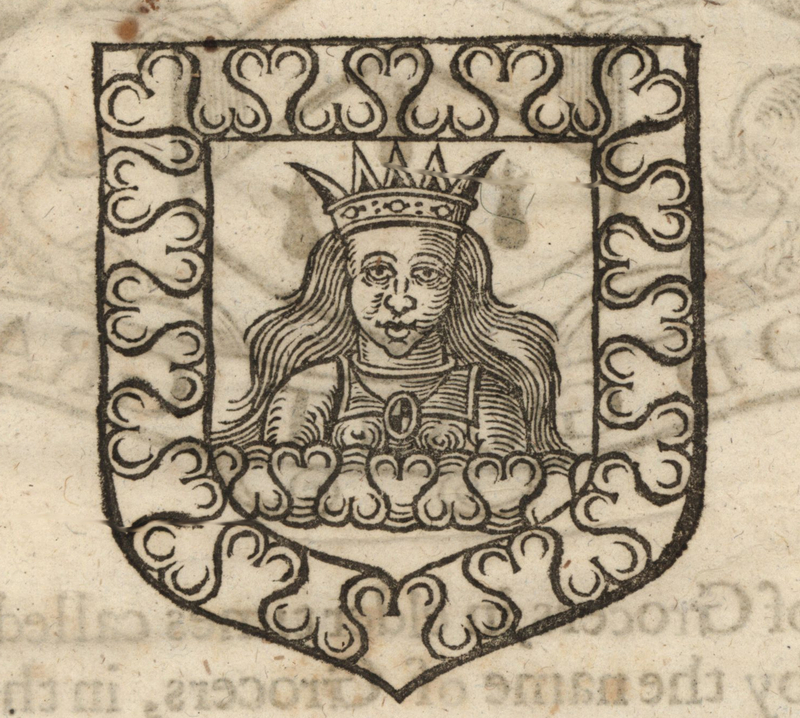 TEI-encoded, diplomatic transcriptions of early modern lord mayor’s shows. When complete, these digital texts will constitute a complete anthology of mayoral pageantry in London between 1585 and 1639. TEI-encoded, diplomatic transcriptions of prose and poetry selections rich in London toponyms. Crutched Friars Priory was a religious house on the southeast corner of Hart Street (later called Crutched Friars) near the northwest corner of Woodroffe Lane. It was in Aldgate Ward and was founded by Raph Hosiar, and William Sabernes, about the yeare 1298 (Stow). The priory stood for nearly 250 years before it was dissolved on 12 November 1539 (Stow). Billingsgate (Bylynges gate or Belins Gate), a water-gate and harbour located on the north side of the Thames between London Bridge and the Tower of London, was London’s principal dock in Shakespeare’s day. Its age and the origin of its name are uncertain. It was probably built ca. 1000 in response to the rebuilding of London Bridge in the tenth or eleventh century. Although its name evokes the pandemonium of the archetypal madhouse, Bethlehem (Bethlem, Bedlam) Hospital was not always an asylum. As John Stow tells us, Saint Mary of Bethlehem began as a Priorie of Cannons with brethren and sisters, founded in 1247 by Simon Fitzmary, one of the Sheriffes of London (1.164). We know from Stow’s Survey that the hospital, part of Bishopsgate ward (without), resided on the west side of Bishopsgate street, just north of St. Botolph’s church (2.73; 1.165). St. Paul’s Cathedral was—and remains—an important church in London. In 962, while London was occupied by the Danes, St. Paul’s monastery was burnt and raised anew. The church survived the Norman conquest of 1066, but in 1087 it was burnt again. An ambitious Bishop named Maurice took the opportunity to build a new St. Paul’s, even petitioning the king to offer a piece of land belonging to one of his castles (Times 115). The building Maurice initiated would become the cathedral of St. Paul’s which survived until the Great Fire of 1666. Cheapside, one of the most important streets in early modern London, ran east-west between the Great Conduit at the foot of Old Jewry to the Little Conduit by St. Paul’s churchyard. The terminus of all the northbound streets from the river, the broad expanse of Cheapside separated the northern wards from the southern wards. It was lined with buildings three, four, and even five stories tall, whose shopfronts were open to the light and set out with attractive displays of luxury commodities (Weinreb and Hibbert 148). Cheapside was the centre of London’s wealth, with many mercers’ and goldsmiths’ shops located there. It was also the most sacred stretch of the processional route, being traced both by the linear east-west route of a royal entry and by the circular route of the annual mayoral procession. The Steelyard was the chief outpost of the Hanseatic League in the city of London. Located on the north side of the River Thames, slightly west of London Bridge, the Steelyard was home to many wealthy German merchants from the thirteenth century to the end of the sixteenth. It was the central Kontor, or community, of the Hanseatic League in England. The League defined itself as a firm confederatio of many [German] cities, towns, and communities [designed] for the purpose of ensuring that business enterprises by land and sea should have a desired and favorable outcome and that there should be effective protection against piracies and highwaymen, so that their ambushes should not rob merchants of the goods and valuables (Lloyd 7). This page points to the district known as Whitefriars. For the theatre, see Whitefriars Theatre. Gray’s Inn was one of the four Inns of Court. Queenhithe is one of the oldest havens or harbours for ships along the Thames. Hyd is an Anglo-Saxon word meaning landing place. Queenhithe was known in the ninth century as Aetheredes hyd or the landing place of Aethelred. Aethelred was the son-in-law of Alfred the Great (the first king to unify England and have any real authority over London), an ealdorman (i.e., alderman) of the former kingdom of Mercia, and ruler of London (Sheppard 70). The Mercers’ Company was one of the twelve great companies of London. The Mercers were first in the order of precedence established in 1515. 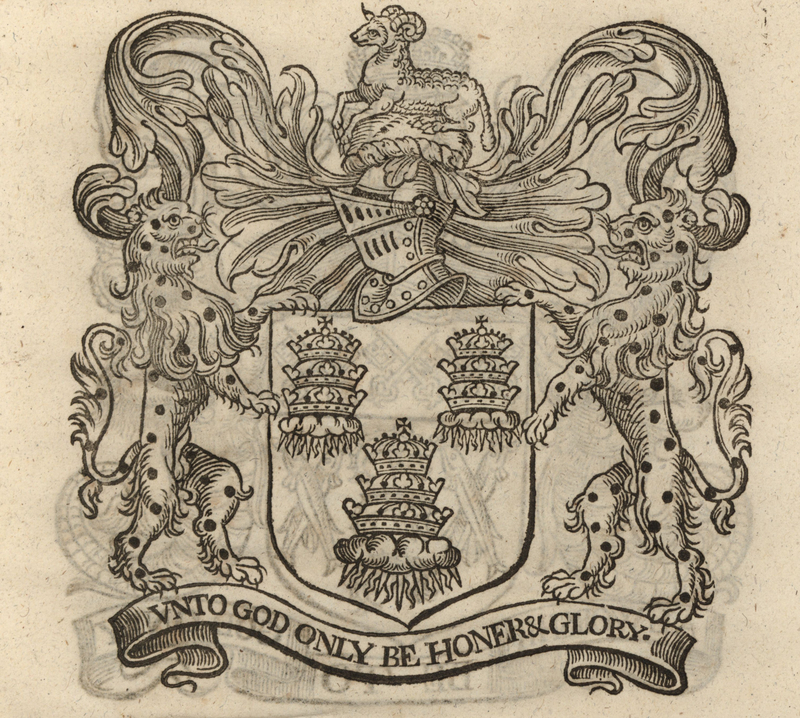 The Worshipful Company of Mercers is still active and maintains a website at http://www.mercers.co.uk/ that includes a history and bibliography. The Drapers’ Company was one of the twelve great companies of London. The Drapers were third in the order of precedence established in 1515. 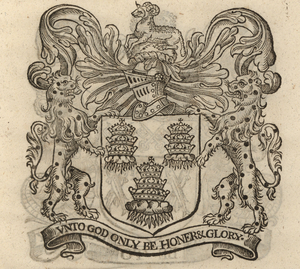 The Worshipful Company of Drapers is still active and maintains a website at http://www.thedrapers.co.uk/, with a history and short bibliography. The Bakers’ Company was one of the lesser livery companies of London. The Worshipful Company of Bakers is still active and maintains a website at http://www.bakers.co.uk// that includes a history of the company. The Brewers’ Company was one of the lesser livery companies of London. The Worshipful Company of Brewers is still active and maintains a website at http://www.brewershall.co.uk/ that includes a history of the company. The Dyers’ Company was one of the lesser livery companies of London. The Worshipful Company of Dyers is still active and maintains a website at http://www.dyerscompany.com/ that includes a history of the company.